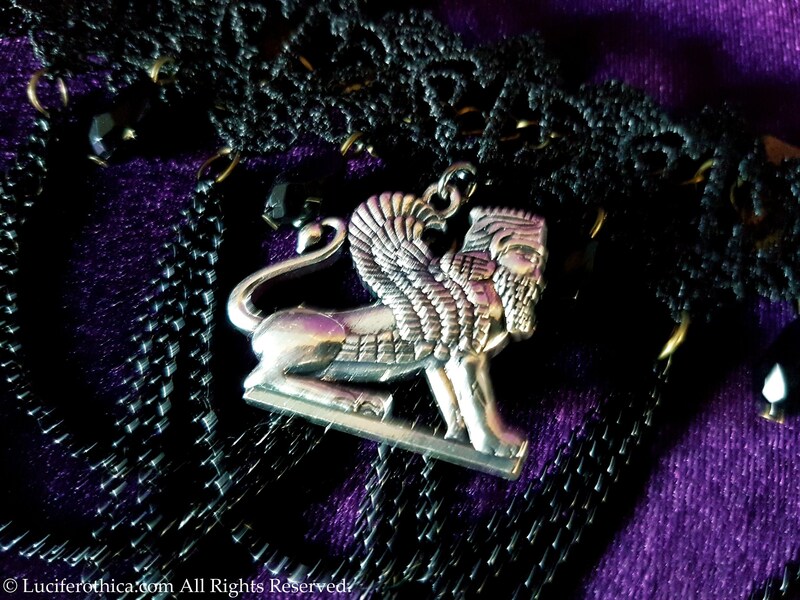 Assyrian Winged Lion (Lamassu) Choker. 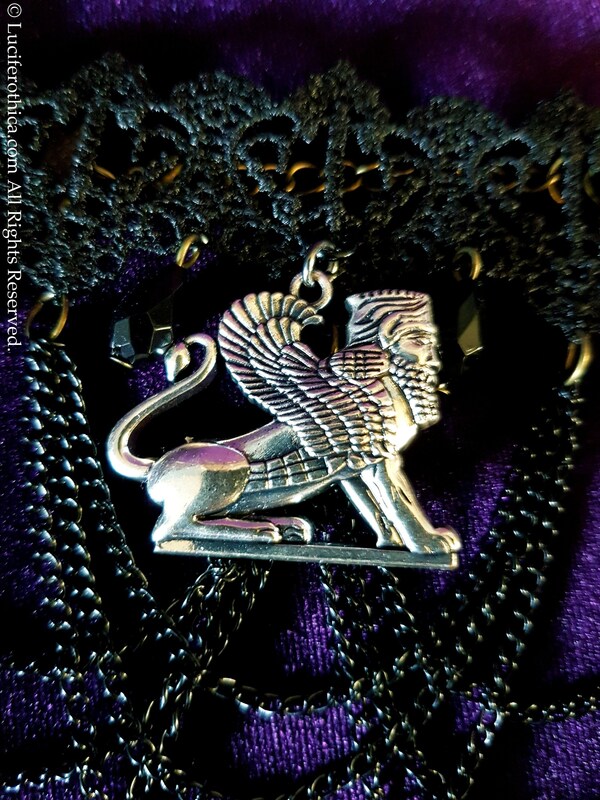 - Silver colour lamassu symbol. - Measurments of symbol: 3cmx3.5cm. 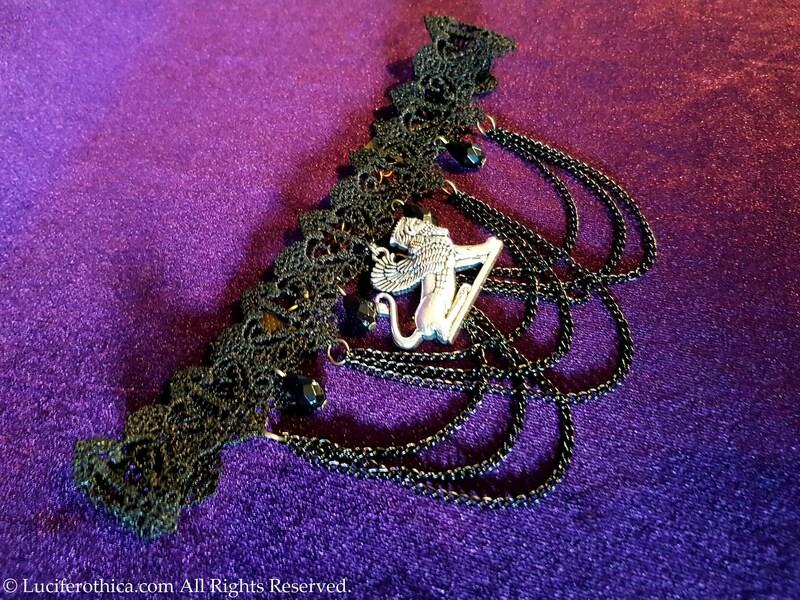 - 32cm long black fabric choker + 6cm extension chain. 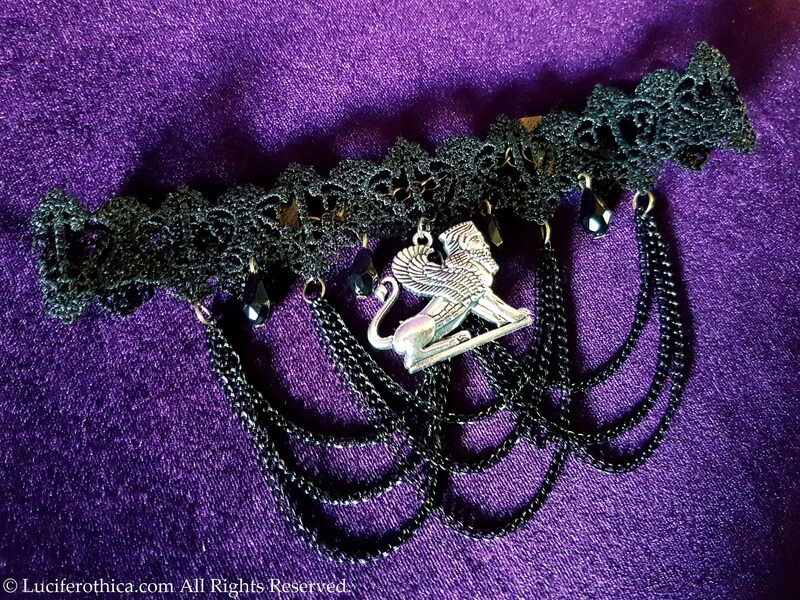 - Lots of elegant black colour hanging chains. A lamassu, plural lumasi (Sumerian: dlammar; Akkadian: lamassu; sometimes called a lamassus) is an Assyrian protective deity, often depicted as having a human's head, a body of a bull or a lion, and bird's wings.